Bryan Micon, the man behind the bitcoin poker site SealsWithClubs, has agreed to plead guilty for running an unlicensed online poker room from Las Vegas. Bryan Micon, the man behind the bitcoin poker site SealsWithClubs (SWC) that Nevada's authorities closed in February, has agreed to plead guilty for running an unlicensed online poker room from Las Vegas. As announced here on PokerNews on June 22, Micon decided to end his self-inflicted exile to Antigua and head back to the U.S. to participate in a hearing set for Thursday, June 25. 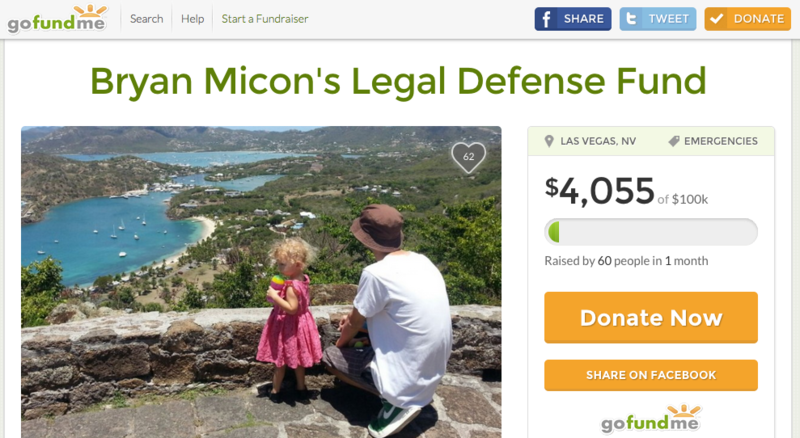 During the hearing, Micon agreed to plead guilty - as this should allow him to avoid the risk of spending up to 10 years in prison, the Las Vegas Review Journal reports. Micon's defines attorney Richard Schonfeld, from Las Vegas' popular law firm Chesnoff & Schonfeld, said that the deal is an "appropriate resolution." Schonfeld added that his client may see the charge of "operating an unlicensed interactive gaming system" reduced to a "gross misdemeanor" once Micon completes probation for time yet to be defined and paid a $25,000 fine. This represents a significant reduction compared to the $50,000 fine and up to 10 years of prison time that Micon risked until his appearance in court. Schonfeld also explained that the deal with Nevada's authorities will require his client to give up computers, $900 in cash, and a number of bitcoins that were confiscated during a police raid conducted back on Feb. 11. According to a Criminal Complaint submitted by Nevada's Attorney General Adam Paul Laxalt and Nevada's Senior Deputy Attorney General Samuel R. Kern on April 25, Micon has been accused of running an unlicensed poker site from Nevada "between March 1, 2014, and February 9, 2015." "Micon willfully operated, carried on, conducted, maintained and/or exposed for play in the State of Nevada an Internet gaming poker site under the name 'Seals With Clubs,' without first procuring and thereafter maintaining in effect the required licenses," the Criminal Complaint stated. "These actions constitute the crime of Operating an Unlicensed Interactive Gaming System, a category ‘B' felony in violation of NRS 463.160(1)(f) and 463.360(3), and are a technological crime as defined by NRS 205A.030." The operation that led to the closure of SWC and convinced Micon to relocate to Antigua with his family started after a Belgian national reported the site to the authorities. As Attorney General Laxal explained in April, the investigation on SWC — the first of its kind to ever be conducted at a state-level-- started after a Belgian national brought the poker room to the attention of the Gaming Control Board and noted that it may be operating in conflict with the State's regulation on online gaming. Right after that, an agent named Ricardo Lopez was asked to investigate the room's operation. During a press conference, Lopez explained that he opened an account at Seals With Clubs in Feb. 2014 to understand more about the functioning of the poker room. "I placed bets using my chips, and won some hands while losing others," Lopez said. "I had successfully purchased Bitcoin using U.S. currency and then gambled the Bitcoin on the website sealswithclubs.eu on two separate dates for a total of 30 hands of poker." The investigation continued with the examination of a number of Skype's conversation between Micon and other individuals where Micon admitted SWC was generating profits for $10,000 to $12,000 on a monthly basis. Once it became apparent that Micon was one of the key figures in the ownership and functioning of the site, the authorities decided to launch a police operation that led to a raid of Micon's home in Las Vegas. 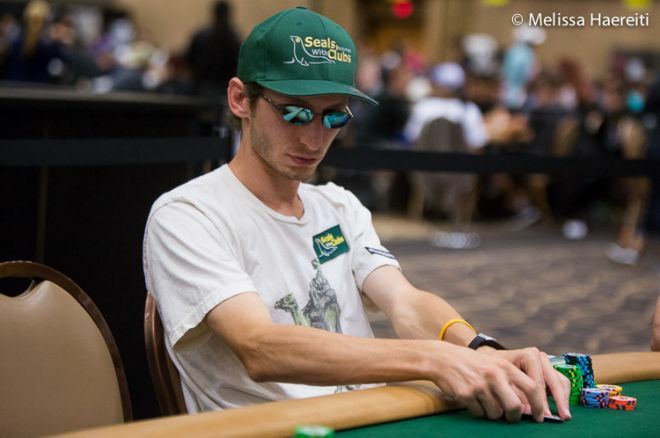 "It has been a big violation of my personal freedom," Micon told PokerNews in a phone interview right after the raid. "Even if the State wanted to take action against me, even if they wanted to take all my electronics as they did, a raid like that one was completely unnecessary. It's easy to tell that I am not the kind of person that you need a raid like that for, and it's pretty well known that I am non-violent man." During the months that separated the raid from Thursday's hearing, Micon has repeatedly said that he was sure about the legitimacy of SWC operations and claimed that he did not commit any wrongdoing. To support his fight in Court, he also launched a crowdfunding campaign on GoFundMe.com, even though he only managed to raise $4,055 of the $100,000 he sought. Among the sixty contributors to Micon's campaign are known names as Dutch Boyd and CalvinAyre's editor Lee Davy. Despite the legal battle that followed February's raid, Micon chose not to drop his idea of a bitcoin-only poker room and launched a renewed version of its site, available at swcpoker.eu. The new site launched once his former partners at SWC chose to end their involvement in the original venture. "I am not mad at them," Micon added shortly before the launch of the so-called 2.0 version of the software. "Everybody assesses risks differently and they are willing to do different things. Perhaps, I am the one who is willing to give up the most right now, and that's why I will continue to work on Seals With Clubs." "There are only very few things in this world that motivate me, and these are Golden Tee, poker, my wife, my daughter, and Bitcoin," Micon went on to explain. "If you realize this, you can see why I don't even need to make a choice here." Phil Hellmuth Falls Short of Bracelet No. 15: "If This Were Chess, I Would Have Won"
How Have Recent Main Event Champions Performed at the WSOP Since Their Big Win? Seals With Clubs Chairman Bryan Micon: "The Police Raid Was Completely Unnecessary"